The Kernow Model Centre have today announce a number of further commissions from Bachmann Scenecraft that will interest modellers of the London South Western Railway (LSWR) and Southern / Southern region alike. Firstly an LSWR Type 3 Signal Box that has been based on the LSWR Type 3 Signal box in use at Boscarne Junction and many other locations. This model features removeable roof, to allow and interior detailing, and name board. The signal box will costs £39.99 a price that is valid for pre-orders only. Once Kernow model Center have received delivery of the model it will revert to £44.99. 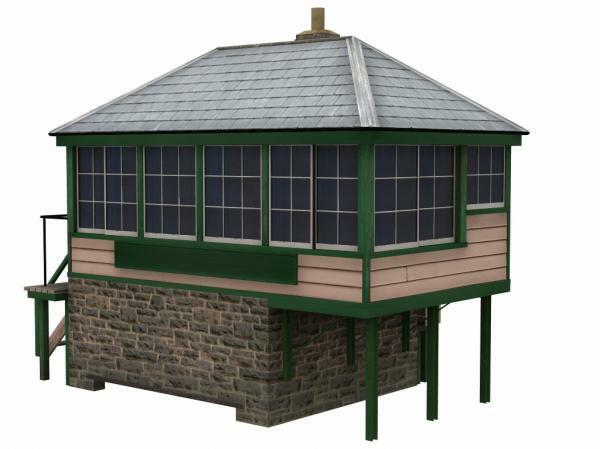 The Signal box will be available in both and Southern Green and dare I say Western Region colours. Further details and images can be found on the Kernow website here. Secondly a SR Boom Water Column and Arm that will cost £19.99 again this price is valid for pre-orders only. Once Kernow model Center have received delivery of the model it will revert to £29.99. Further details and images can be found on the Kernow website here. In addtional to the above items Kernow Model Centre have also announced a Cornish Roundhouse that is designed as a modular roundhouse with each of these buildings covering one track for use with their Cornish Roundhouse External Walls. Each unit is a single train shed that can be placed alongside further train sheds. 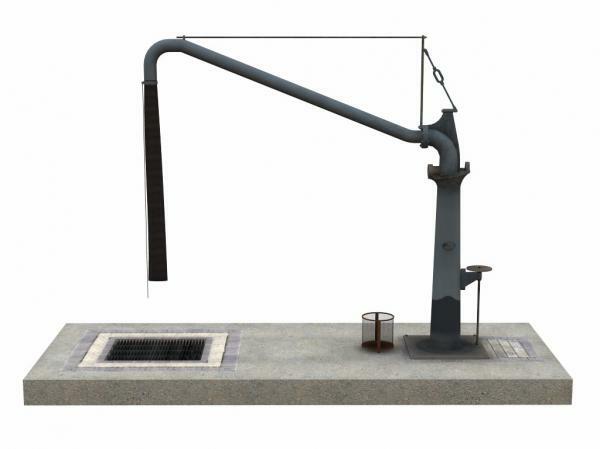 This model is designed to fit around a Heljan or Peco turntable. Kernow Model Center have created a dedicated page on their website that lists these new items and also their existing range of OO exclusive buildings. Thanks Graham. Great news. I have ordered signal cabin and water column.